Without question, Battlefield 1 by Swedish developer DICE has been one of the greatest video games to come out in 2016, and has even managed to steal the thunder from Activision’s Call of Duty: Infinite Warfare this year.This is due to the game’s superb (albeit a little short) single player campaign, great World War I setting and atmosphere, and intense multiplayer action. But given what a big and complex game Battlefield 1 is, it was inevitable that it would launch with a glitch or two, and DICE has now released a big patch in order to solve certain issues players were having with the game, as well as making a few tweaks to the game’s multiplayer Operations mode. Regarding Operations mode, DICE has made changes to this mode so that the defending side doesn’t always have an edge, as the attackers have had a hard time winning in most multiplayer games to date according to DICE. 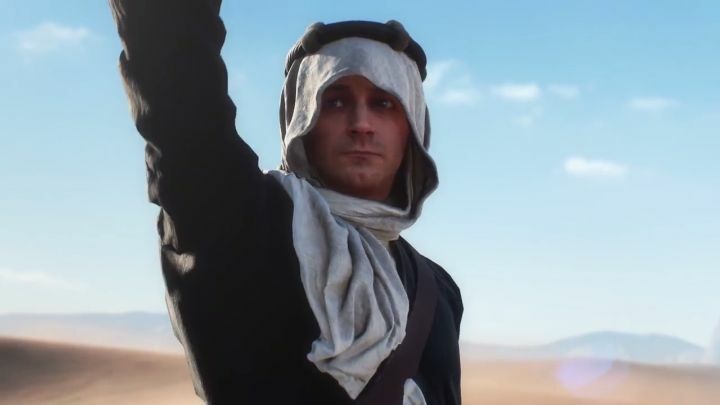 Also, the Swedish developer has made changes to Battlefield 1’s Conquest mode, specifically to its Suez map, as originally it only had three capture points and these have now been increased to five, so that one team will not be able to capture the flags so easily in a match. This is how Battlefield 1’s Suez map looks after applying DICE’s latest patch. The patch also brings other changes to the game such as the ability to customize player’s soldiers from within the game’s UI (User Interface) plus there are also changes to weapons balance, such as the fact that support machine guns now have increased aiming accuracy. Also, the way certain gadgets such as limpet mines work in the game has been changed (these cannot be destroyed until they detonate now). Additionally, the patch fixes quite a few bugs present in the game, as detailed in the game’s patch notes. All these changes will likely be welcomed by Battlefield veterans and players new to the franchise alike, and it’s certainly great to see DICE supporting Battlefield 1 and improving the gameplay experience for those gamers who are now playing and enjoying what undoubtedly is one of the biggest video games releases of the year.